1. Stick to the agenda. Whether you send out the agenda ahead of time or have attendees pick up a printed agenda when they walk in, make an effort to stick to agenda items and move through each item quickly. Leave time at the end of each section for questions to cut down on interferences during a presentation. 2. Schedule break time. Give attendees a chance to explore the wealth of restaurants, eateries and coffee shops around Sonoma Valley with a scheduled break. Breaks can help to keep everyone focused and even a short break for coffee or tea can be enough to re-energize the group for the next session. 3. Choose the right venue. You want your meeting to run without a hitch so make sure the venue you choose has the audiovisual equipment you need, wireless internet access, and configurable space. If you are planning a longer meeting, look for venues with dedicated outdoor space where guests can take a break and enjoy some fresh air when needed. 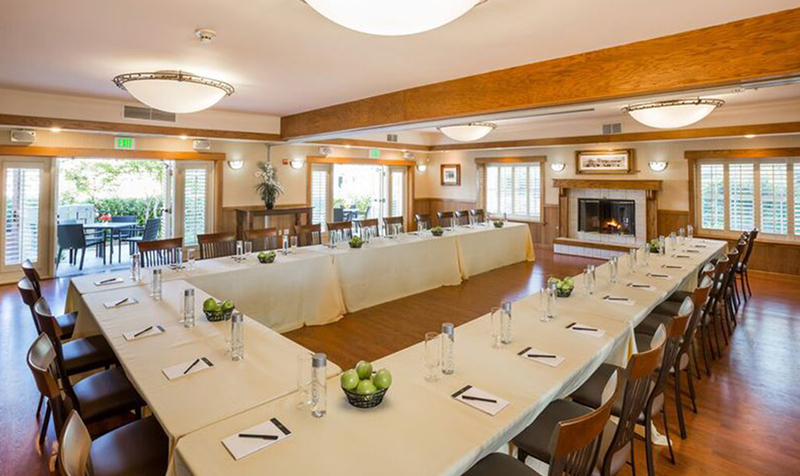 Plan your next meeting at the Krug Event Center at the Best Western Sonoma Valley Inn. Our event center is a modern space with thoughtfully designed features, including LCD projection systems, teleconferencing capabilities, and an outdoor area with a fire pit. Our team of attentive event planning and gourmet catering professionals can take care of all the details. Learn more about meeting packages available at the Krug Event Center.